Rutherglen MSP Clare Haughey has welcomed news that 94% of workers in the Rutherglen and Hamilton West UK parliamentary constituency earn above the national minimum wage – with Scots the least likely to be on minimum wage jobs in the UK. New UK Government analysis taken from the Annual Survey of Hours & Earnings 2018, shows that 94% of Scots workers earn above the National Minimum or National Living Wage – while 7% of workers in England, and 11% in Northern Ireland, remain on the obligatory pay. But Clare Haughey MSP has claimed the UK Government are not doing enough to support low income workers, renewing calls to raise the National Living Wage to the level of the independently assessed Living Wage. The move would mean all workers would earn more than £10 an hour by 2022. Currently, the UK Government’s National Living Wage is set at £7.83 for those aged 25 years and over, and £4.20 for those under 18. More than 1200 employers in Scotland are Living Wage accredited – and Rutherglen MSP Clare Haughey is one herself. “It’s encouraging to see that 94% of workers in Rutherglen and Hamilton West earn above UK Government’s National Minimum or National Living Wage. “However, the UK Government is failing low income workers in Rutherglen and Cambuslang by refusing to raise the minimum wage to the independently calculated real Living Wage. 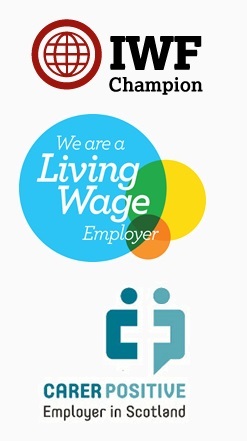 “Although the powers to set the minimum wage remain reserved to Westminster, the Scottish Government has taken steps to ensure that over 1000 employers now pay a real Living Wage in Scotland.